Trailer Inspections Hebbville | Repairs | McCarthy’s Towing & Recovery Ltd. While towing and roadside assistance are our specialties, McCarthy’s Towing & Recovery Ltd. also provides general automotive repairs, maintenance, and inspections. We have an on-site garage with three bays and two mechanics at the ready. Most appointments are available within 24 hours so that we can get you in and out and back on the road in no time. Not many repair shops offer trailer inspections in the Hebbville area. 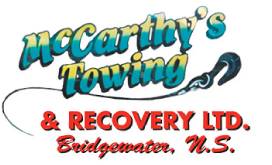 At McCarthy’s Towing & Recovery Ltd., our automotive technicians are well trained to properly inspect your trailers to ensure they are safe for the road. Call for more details. For all your automotive repair and maintenance needs, you can come to McCarthy’s Towing & Recovery Ltd. in Hebbville to get it done. Stop by today.